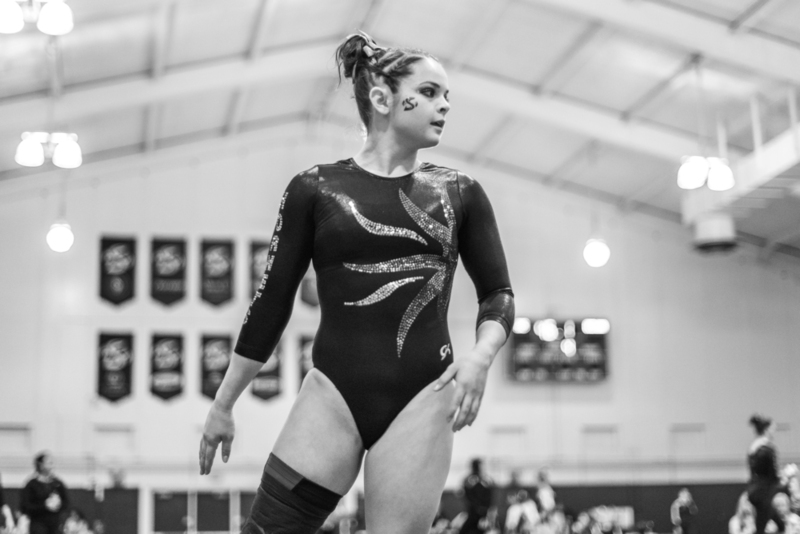 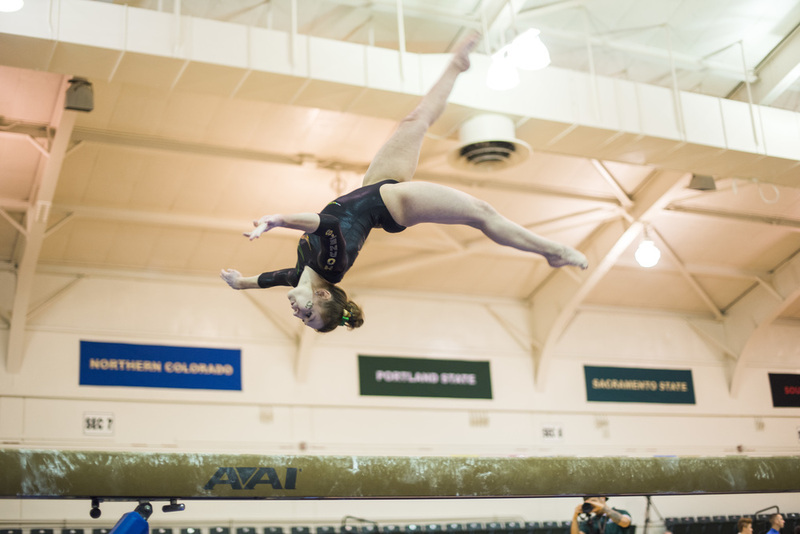 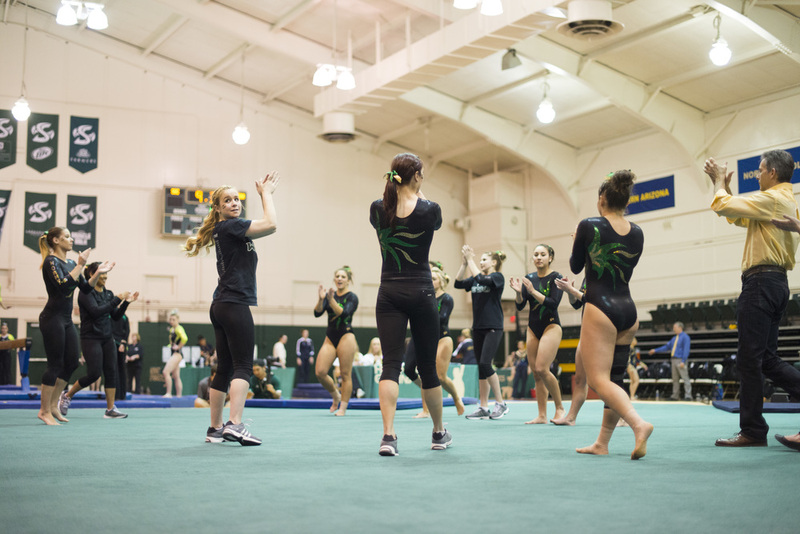 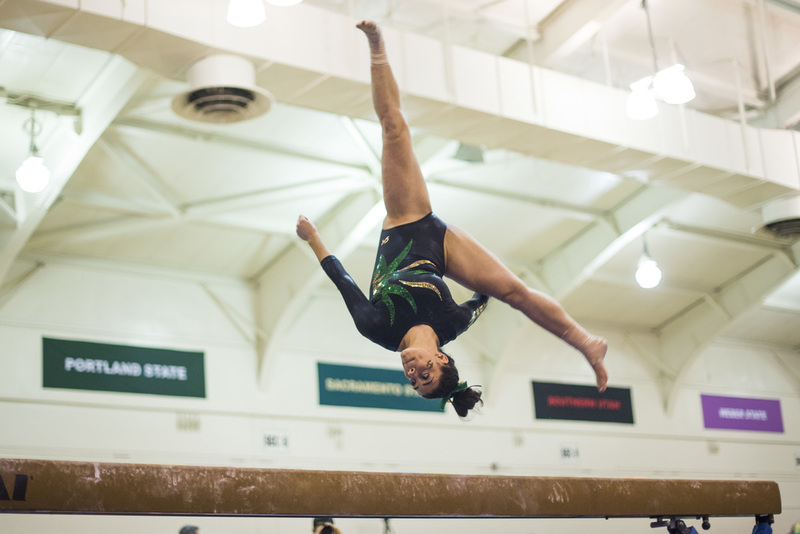 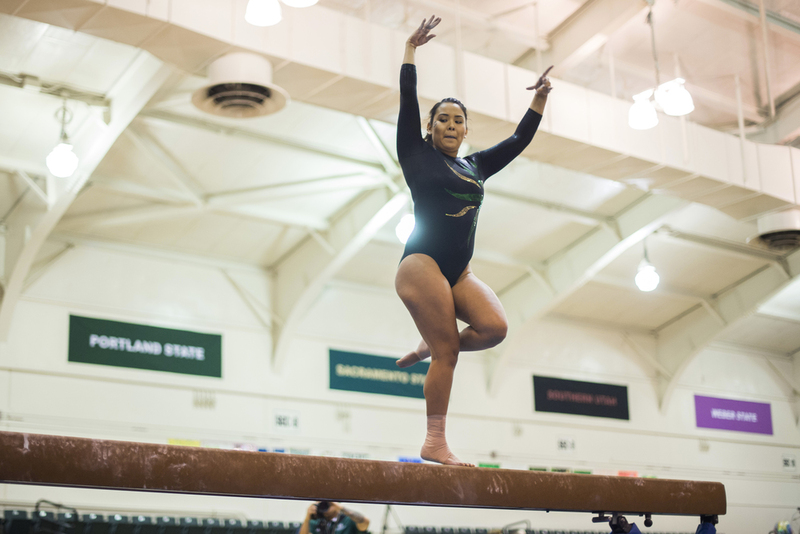 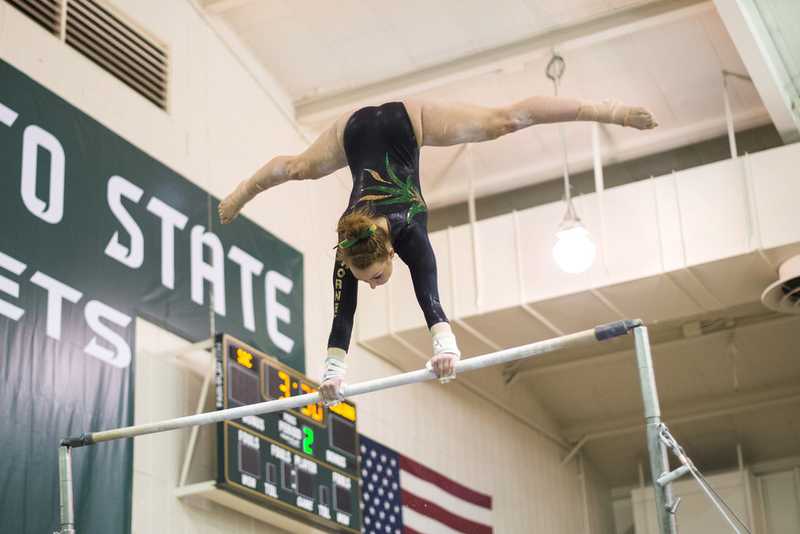 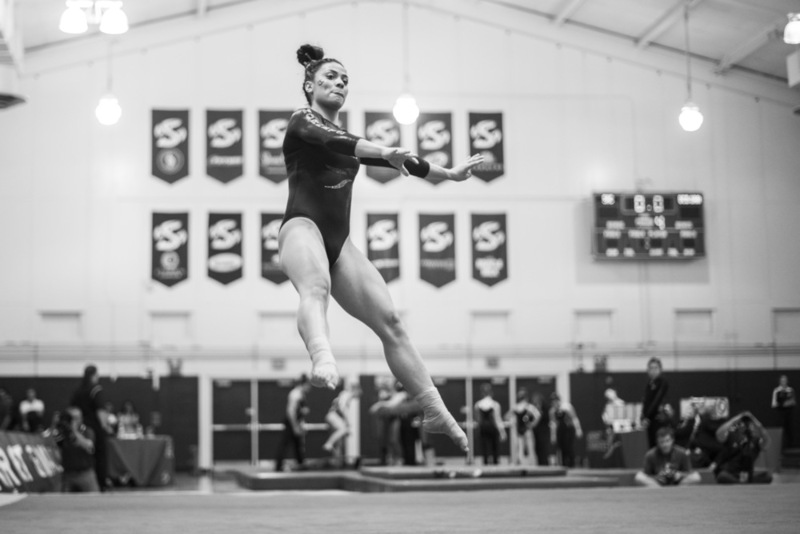 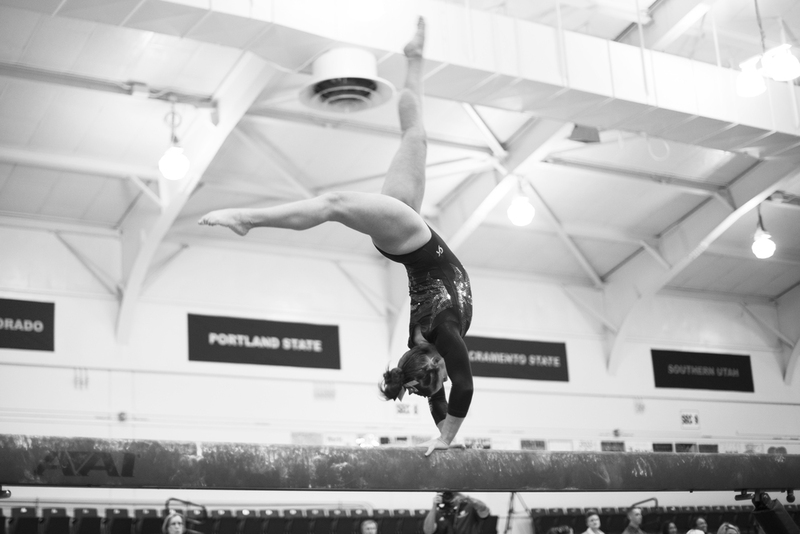 Sacramento State's gymnastics team faced UC Davis and University of Alaska Anchorage at the Nest on Friday. 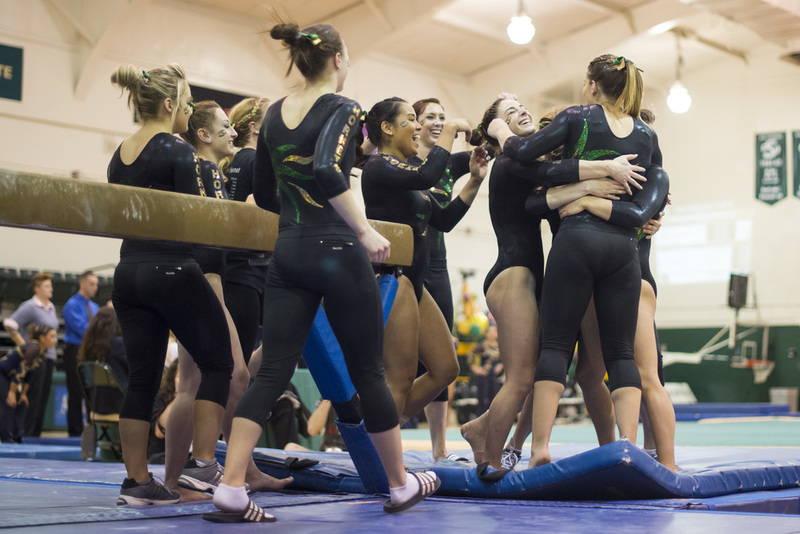 The Hornets came in first place with a season-high score of 195.275. 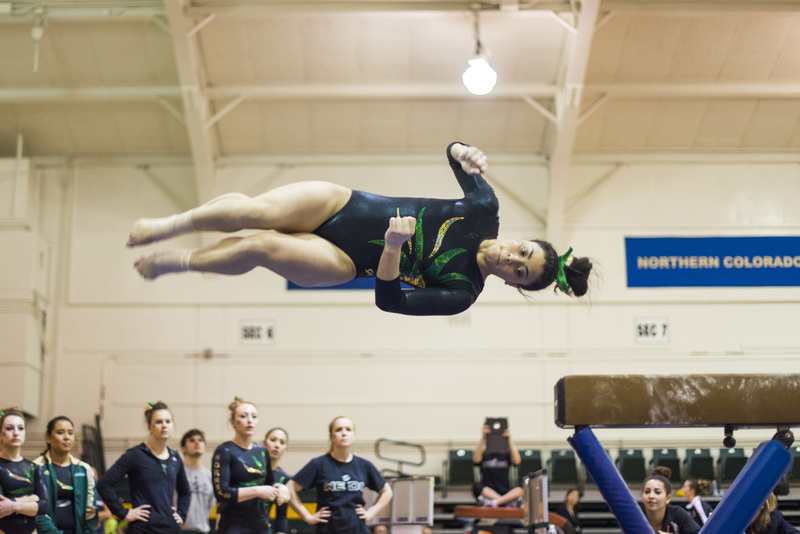 Davis came in second, and Alaska in third. 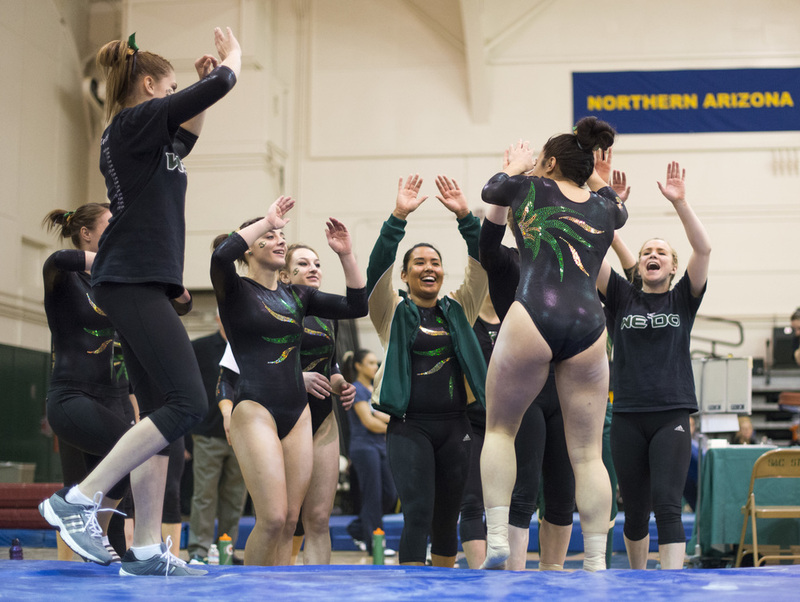 This was the final home meet for seniors Elideth Guerrero, Kailey Hansen, Kaila Kilwein, Maddie Montoya, Katie Osaki, and Ashley Wooff.